On Labor Day we had our summer staff party. We didn’t have ideal sailing weather heading towards our destination. We had to motor against the wind into the waves. I forgot to tell everyone to bring a rain jacket, not because of rain but from the waves splashing against the boat. We did get a little wet. But it was a warm day, so all was forgiven. Thankfully everyone felt comfortable sailing on rough waters. We did think about rescheduling but there was a schedule conflict on the rain date. We had a nice lunch and wandered around town. Quite a few places were closed on Monday, not just because it was a Monday but because it was a holiday Monday. There was a tattoo parlor open. Anybody up for tattooing themselves with the company logo?? I guess not. Sometimes in the sailboat, I feel like a big fish when I look at all the other little fishing boats in the water. Then a big cargo ship drifts into town which makes me feel like a minnow in deep water. It’s all about perspective sometime. 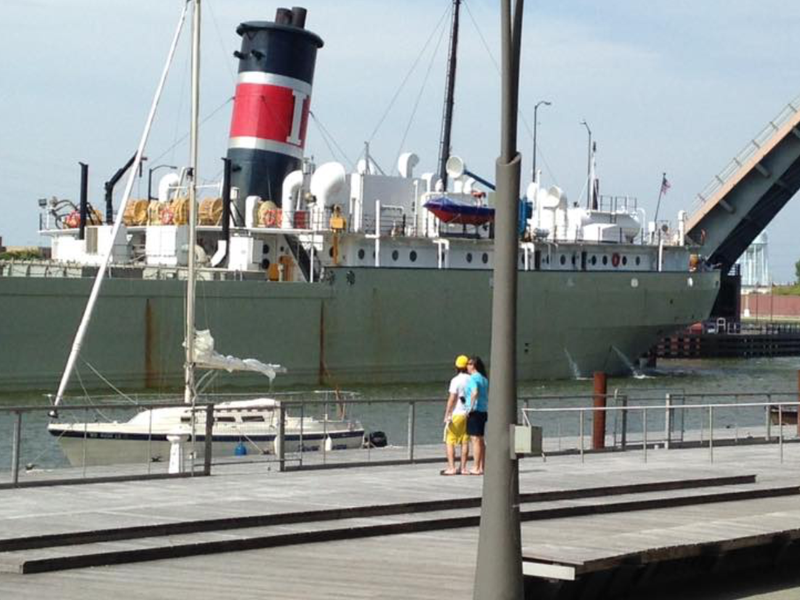 This is our sailboat with half of the cargo ship. Wow, now that is big time! The sail back was nice. The wind pushed us back home. 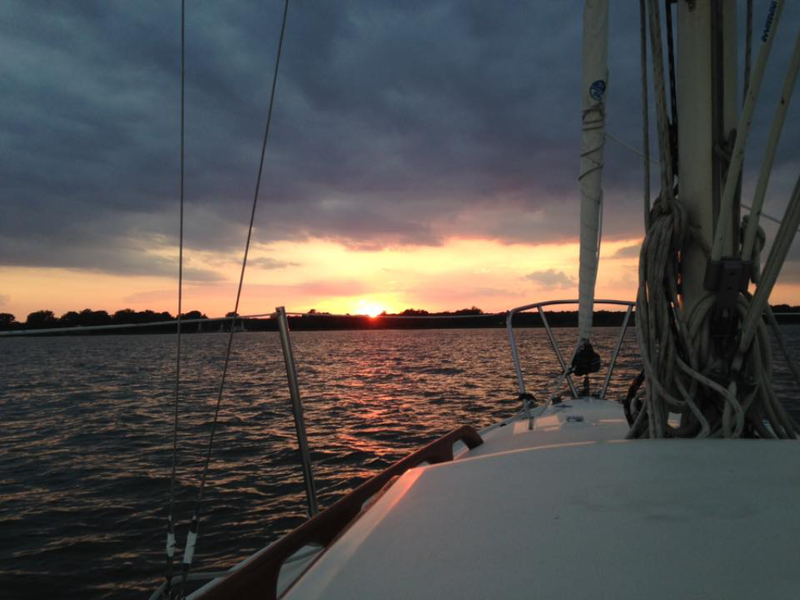 One of our employees got to experience her first sunset on a boat. We laughed and didn’t talk too much about work. Paul prompted me to tell everyone the sailboat name I came up with a couple of weeks ago. Here goes….. BOW MOVEMENTS… Terrible name, I know, but it always cracks a few laughs.